CANBERRA, Australia — The European Union's foreign policy chief, Federica Mogherini, said on Wednesday she wanted a free trade agreement with Australia as soon as possible as an example against protectionism. 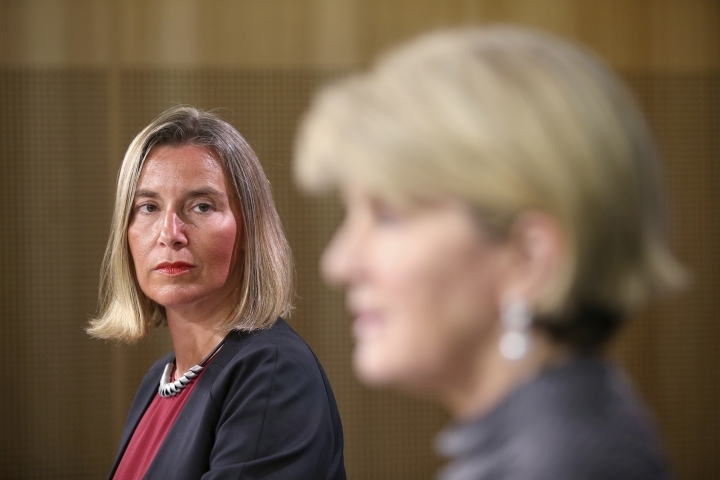 Mogherini met with Australian Foreign Minister Julie Bishop in Sydney to discuss a range of issues including trade liberalization. The Italian diplomat said free trade negotiations were launched in June and the first round of talks were held last month, so the "rhythm and the pace is quite intense." "We are aiming at a very ambitious, very positive-for-both-sides trade agreement and the sooner the better," Mogherini told reporters. "For us, it's a way to make it clear and evident that notwithstanding the geographical distance, we value enormously our partnership with Australia, particularly in this time of global uncertainty and ... some tendencies to protectionism," she added. 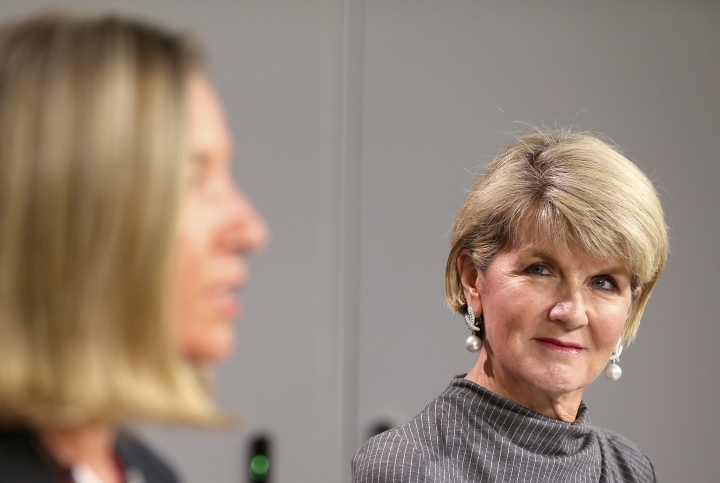 Bishop said achieving the trade deal with the 28-nation bloc, which will soon lose Britain, was a priority for Australia. 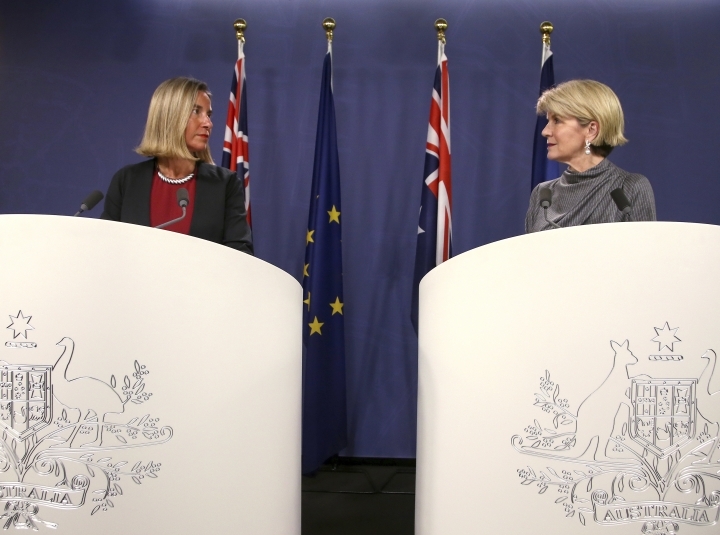 Mogherini also welcomed Australia's commitment to contribute civilians to the EU mission in Iraq.